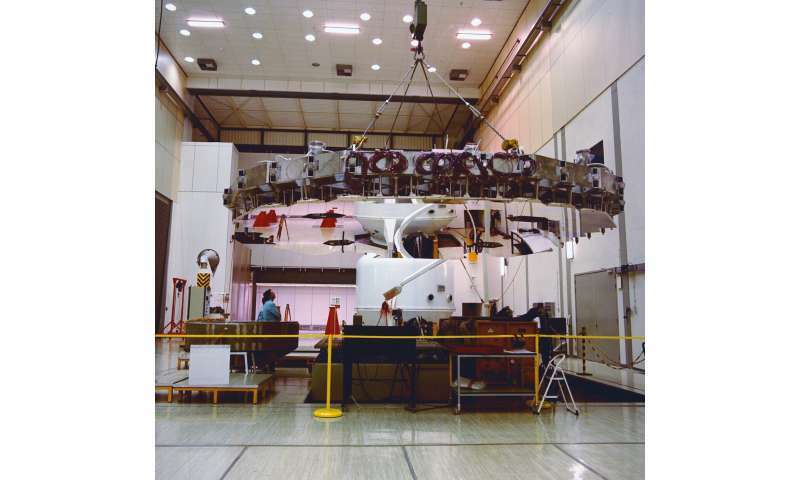 This mirror array remains an integral element of ESA's Large Space Simulator at the ESTEC Test Centre in Noordwijk, the Netherlands. It is used to subject entire satellites to space-like conditions ahead of launch. At 15 m high and 10 m in diameter, the chamber is cavernous enough to accommodate an upended double decker bus.